We cannot underestimate the importance of importance of pre writing skills for preschoolers. 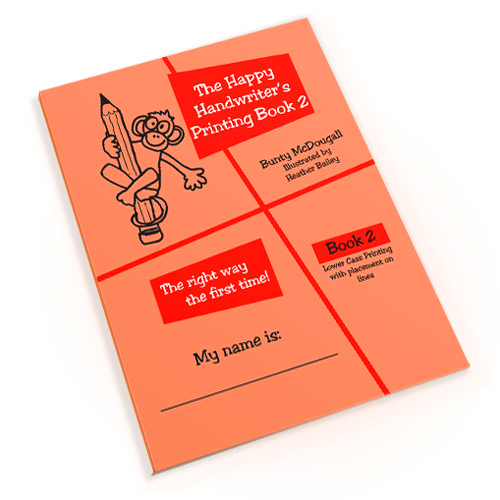 The Happy Handwriter’s Printing Book 1 is aimed at the Grade R child. Correct letter formation is critical for speed and legibility of handwriting. The Printing Book 1 groups the letters into similar formation groupings, ensuring that correct formations are consolidated and built upon. There is a strong emphasises the starting positions of the letters, through the starting point which is called The Doughnut®. In addition, The Happy Handwriter’s Letter Formation songs reinforce the direction of formations to ensure the motor maps for letter formation are laid down in the correct pattern in the brain. The Happy Handwriter’s Printing Book 1 takes your child on their journey to learning letters correctly the first time. The design of the programme ensures that each time the child practises a letter, they do so in the correct formation pattern. The large letter pages ensure the child is given this opportunity firstly over a big model of the letter, before going on to completing the smaller letters. Directionality, or the progression from left to right across the page is facilitated through the positioning dots on the small letter pages. There is opportunity for multiple repetition of these patterns through the creation of rainbow-letters®. This fun concept ensures each additional time the child traces over a letter, it assists with the laying down of the motor maps required for future handwriting. 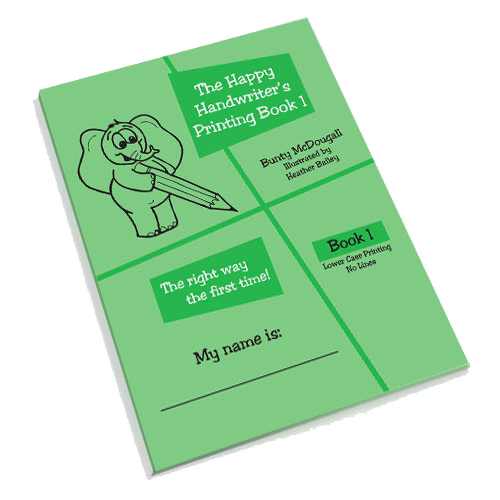 The Happy Handwriter’s Printing Book 1 comes with user friendly parent directions that will enable you to guide your child to correct letter formation. The book is aligned with CAPS requirements and utilises the ball and stick style of handwriting. The children love the elephant with his pencil. For those who like colouring, he is a reward they really enjoy. For those for whom colouring is a laborious and unpleasant task, black-and-white elephants look good too! This is the perfect book for addressing the importance of pre writing skills for preschoolers. If your child is in Grade 1, take a look at the Printing Book 2.